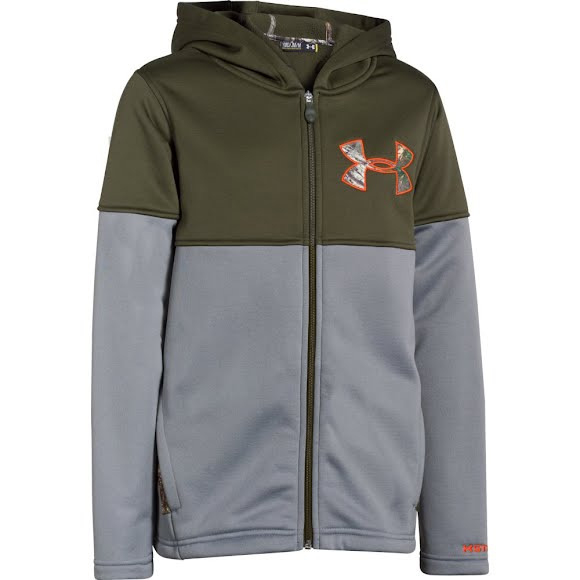 Under Armour's boy's UA Storm Caliber Hoodie is designed to be water-resistant, light, stretchy & unbelievably warm...it's what your little ones grab when you go to school. Under Armour&apos;s boy&apos;s UA Storm Caliber Hoodie is designed to be water-resistant, light, stretchy & unbelievably warm...it&apos;s what your little ones grab when you go to school. Constructed in UA&apos;s signature ArmourFleece fabric, which combines a soft brushed inner layer that traps body heat to keep you warm, with a lightweight fast-drying outer layer.